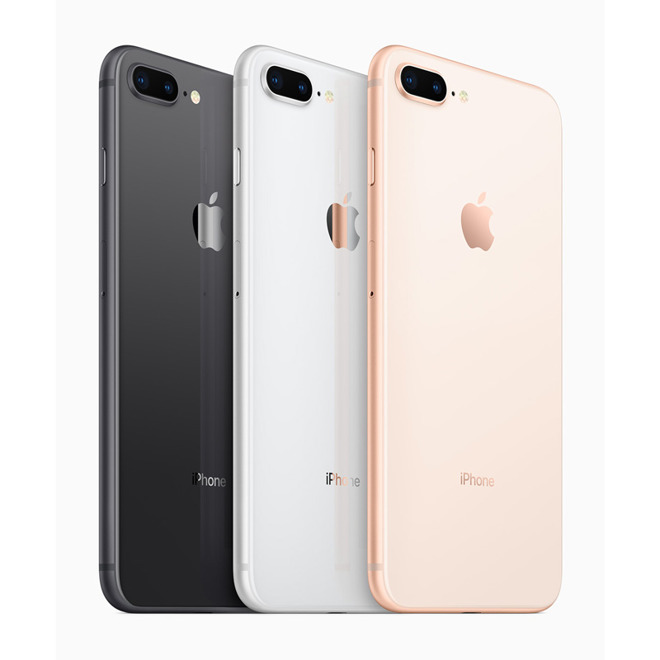 At its Tuesday press event Apple introduced the direct successors to 2016's iPhone 7 series, the iPhone 8 and 8 Plus —equipped with 4.7- and 5.5-inch LCD displays, and the company's new six-core A11 Bionic processor. The A11 has two high-performance cores said to be 25 percent faster than the A10, and four high-efficiency cores that are 70 percent faster. An Apple-designed GPU is said to deliver a 30 percent speed boost. Also attached is a new image signal processor, providing faster autofocus in low light, improved pixel processing, and better noise reduction. Beyond the A11, other changes include support for Qi wireless charging, and an according switch from aluminum backs to glass. 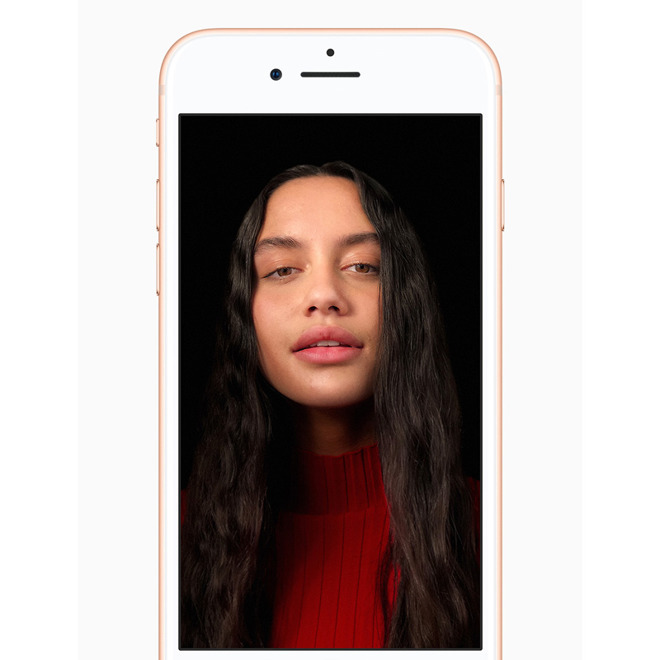 The phones now also offer the True Tone technology previously limited to iPads, which matches a display's color temperature with ambient light. Unlike the iPhone X, the 8 and 8 Plus continue to use physical home buttons with Touch ID. Storage options are limited to 64 and 256 gigabytes. In addition to a bigger display, advantages of the Plus include a dual-lens camera with 2x optical zoom, and support for the iOS camera app's Portrait mode, which simulates bokeh to blur the background behind a subject. New is Portrait Lighting, debuting in beta status, which uses machine learning to enhance images with presets like "Contour," "Stage," and "Studio" light. Both phones use 12-megapixel rear cameras, which Apple says have been specially calibrated for augmented reality, including pairing with new gyroscope and accelerometer sensors. The devices also have an Apple-designed video encoder, and can shoot in 4K at up to 60 frames per second, or in 1080p at up to 240 frames per second. Onboard speakers are 25 percent louder, and should also provide deeper bass. 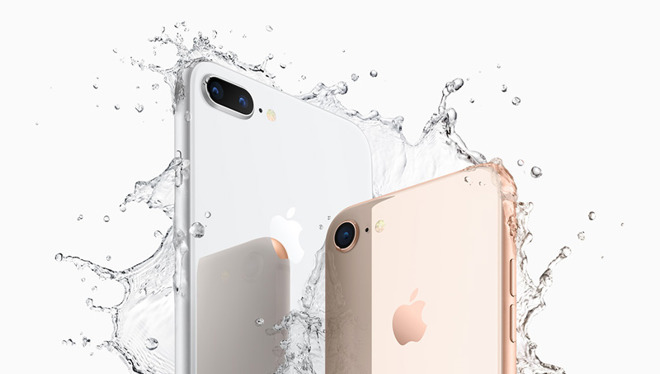 Like the iPhone 7, the products are IP67-rated against water and dust. Preorders are slated to begin on Friday, Sept. 15, and arrive on shelves and doorsteps starting Sept. 22. 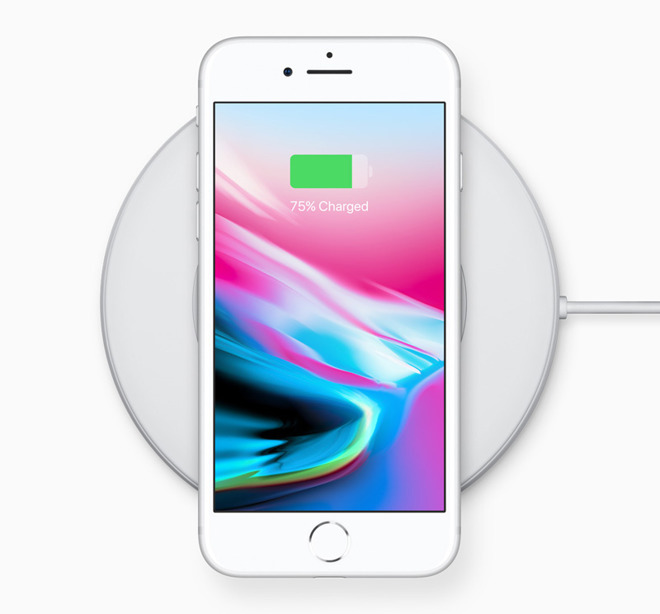 U.S. prices start at $699 for the iPhone 8, and $799 for the 8 Plus. iPhone Upgrade Program customers will have to pay at least $34.50 and $39.50 per month, respectively. Just three colors will be available: silver, space gray, and a new shade of gold. Initial launch regions will include Australia, Austria, Belgium, Canada, mainland China, Denmark, Finland, France, Germany, Hong Kong, Ireland, Italy, Japan, Luxembourg, Mexico, the Netherlands, New Zealand, Norway, Portugal, Puerto Rico, Singapore, Spain, Sweden, Switzerland, Taiwan, the UAE, the U.K., the U.S., and the Virgin Islands. A second wave of launches is due Sept. 29, bringing the phones to Andorra, Bahrain, Bulgaria, Croatia, Cyprus, the Czech Republic, Estonia, Greece, Greenland, Guernsey, Hungary, Iceland, India, the Isle of Man, Israel, Jersey, Kuwait, Latvia, Liechtenstein, Lithuania, Malta, Monaco, Poland, Qatar, Romania, Russia, Saudi Arabia, Slovakia, and Slovenia.